Many of us feel we’re not pastoring in the limelight but in the shadows. Who would guess temptation to pride could lurk in such shadows? Matt’s article addresses this issue in an effective way. Here’s the link. This imaginary demonic dialogue illustrates a spiritual principle of which most of us are familiar but undoubtedly could use a reminder. Success in ministry is wonderful, who doesn’t want it? Success, however, does pose a threat to us being the humble servant of God we’re called to be in our church. Tullian Tchividjian, well known pastor, writer, and grandson of Billy Graham, experienced a moral failure that had a profoundly negative and painful effect on his life and ministry. With something like 20/20 hindsight he reflected on what led to his downfall in his blog at https://www.tullian.net/articles/being-kicked-into-freedom . Tchividjian’s comments make a good transition to reflecting on the time Jesus had sent out 72 of His followers to minister in His name. They returned very excited and exclaimed, “Lord, even the demons submit to us in your name.” (Luke 10:17) At least they were giving credit to Jesus, that the great results were accomplished in Jesus’ name. Still, Jesus was concerned about what was most exciting to them – the success of their efforts. He too was pleased with what had been accomplished, but told them, “However, do not rejoice that the spirits submit to you, but rejoice that your names are written in heaven.” (v. 20) Their names being on Heaven’s Roster was by the grace and mercy of God and not the result of any effort of their own (the Gospel Message, right?). This, Jesus reminded them, was what should most excite them. Ministry is tough, so when we see some success it’s really easy to fixate on it, bask in it, revel in it. Yes, there’s a place for celebration and grateful thanksgiving to God for achievements we experience. Sooner than later, however, it’s good to remember Jesus’ sobering words, that what should really excite us as the pastor of His flock is that we, like everyone else, are in good standing with Him, having our names on Heaven’s Roster. And this all because of His astonishing grace and mercy toward us! It’s being humbly aware of this great truth, even in the midst of some measure of success, that makes us a great threat to the Dark Kingdom and a great asset to the Kingdom of God! In the past I referred to myself and other pastors as Under Shepherds to the Good Shepherd Jesus. Since living in Mexico I’ve watched sheep dogs work with flocks of sheep in such masterful ways, responding obediently to the commands of their master, the shepherd of the flock, as to where to drive the flock. 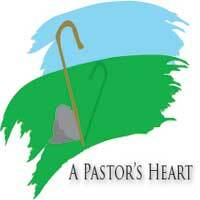 This has prompted me to believe a better description of our role as pastors is sheep dog to the Good Shepherd! I came across this photo and thought it might, given our role as sheep dog to the Good Shepherd, be fun to come up with captions. So, what’s your caption for this photo? Eugene Peterson recently journeyed to his permanent sabbatical to Heaven. He was the author of the Bible paraphrase THE MESSAGE, pastor of a church for many years, professor, poet, author of a host of books for pastors, mentor to pastors and much more. Eugene Peterson helped me and countless other pastors understand what pastoring is meant to be. He truly had a pastor’s heart. In the following link CT PASTORS asked 8 church leaders to share how Eugene Peterson impacted their lives and ministries. Click HERE to read. A Resume or a Eulogy? In our work as pastors are we striving to build a resume or providing material for our own eulogy? Richard Kannwischer, pastor at Peachtree Presbyterian Church in Atlanta, recently referenced David Brooks, a New York Times columnist, in his sermon. In one of his columns Brooks wrote, “It occurred to me that there were two sets of virtues, the resume virtues and the eulogy virtues. The resume virtues are the skills you bring to the marketplace. The eulogy virtues are the ones that are talked about at your funeral — whether you were kind, brave, honest or faithful. Were you capable of deep love?” The Moral Bucket List, NEW YORK TIMES web site, April 11, 2015. Pastor Kannwischer said in his message that he’s been to many funerals, and the saddest ones are those where the deceased’s accomplishments are itemized but little if anything is said of lives the person touched. I agree. I’ve conducted probably some 500 funerals and the great funerals were those where family and friends reflected on how the person had impacted their lives, a real eulogy. The darker funerals were those where the best that could be said was where the person lived, worked, what sports they loved, and what they achieved, more like a resume. We pastors can buy into the CEO model, a business approach, an achievement mindset, or a goal oriented work. Certainly there are good aspects to all of these, but they tend to fit into a resume more than into a eulogy. I’ve shared something of this before, but I feel the need to reiterate the idea: When I retired in my 40th year of ministry at Mayfair-Plymouth Church in Toledo, Ohio, my wife and I were given a retirement party/celebration that was, in our opinion, over the top. What was interesting in people’s personal reflections of our ministry together was the lack of focus on any achievements that were, at the time, so important to me. What the reflections focused on were the times we went through things together, often tough times, but many good times as well. They remembered words I said in an attempt to be comforting or encouraging, most of the conversations of which I had no recollection. It was very little of the resume type stuff and a lot of what might be said at my funeral, except I was present to enjoy it! Maybe a good way to sum this all up is to say that a pastor would do well to focus less on resume building in ministry and more on living among the people in such a way that they would have ample material for a eulogy for the pastor. Morbid? I don’t think so. It’s just that, as David Brooks wrote, it’s better to aim for eulogy virtues than resume virtues.